Tim Buckley was an American singer and guitarist. Although he didn’t achieve widespread commercial success in his brief career as a musician, Buckley has been described as one of the greatest and most influential rock vocalists of the 1960s. His multi-octave range possessed an extraordinary emotional quality. Born in Washington, D.C. on February 14, 1947, his father was a highly decorated World War II veteran. 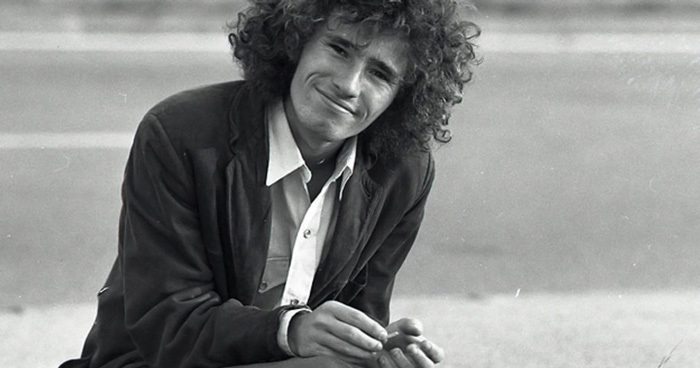 Tim Buckley formed his first band while still in high school. The folk/ country trio consisted of bassist Jim Fielder and drummer Larry Beckett. The band soon earned a name for their ethereal, mystical lyrics. Buckley was discovered by Frank Zappa’s manager Herb Cohen in 1966, who secured him a contract with Elektra Records. Their 1967 album Morning Glory featured classical instrumentation and the utopian track, “Goodbye And Hello”, was its true gem. According to music historians, Buckley’s subdued articulation and lyrical idealism was an anti-thesis of Dylan’s aggressive, outspoken tone. His band joined Zappa’s label Straight Records in 1970, shortly releasing their new album Blue Afternoon. After abandoning his folk direction in the 70s, Buckley suffered poor sales but rave reviews for his 1972 album Greetings From L.A.
Buckley’s output in his final years included commercially modest rock-oriented albums such as Sefronia (1973) and Look At The Fool (1974). The next few years were tumultuous, as he underwent a divorce and experienced management problems. Buckley died at the age of 28 from a heroin overdose. His son Jeff later went on to become a successful musician in his own right. Tim Buckley married Mary Guibert in 1965. The couple divorced in 1966. They had two sons together, namely Taylor and Jeff.